8 We are afflicted in every way, but not crushed; perplexed, but not driven to despair; 9 persecuted, but not forsaken; struck down, but not destroyed; 10 always carrying in the body the death of Jesus, so that the life of Jesus may also be manifested in our bodies. 11 For we who live are always being given over to death for Jesus' sake, so that the life of Jesus also may be manifested in our mortal flesh. 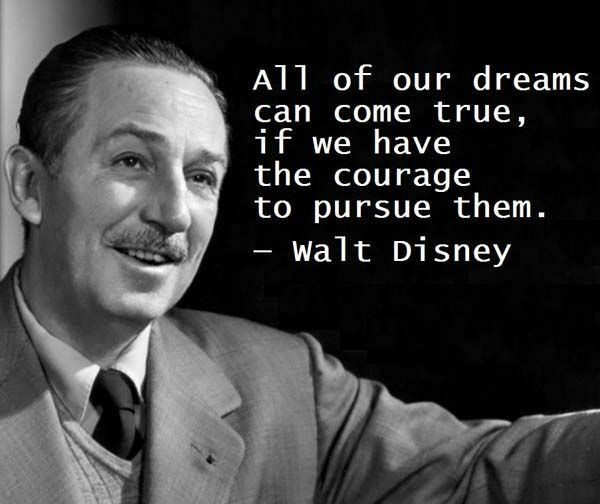 Several years ago a gentleman who served on one of Walt Disney's original advisory boards told amazing stories! Those early days were tough; but that remarkable, creative visionary refused to give up. He shared how Disney responded to disagreements. He said that Walt would occasionally present some unbelievable, extensive dream he was entertaining. Almost without exception, the members of his board would gulp, blink, and stare back at him in disbelief, resisting even the thought of such a thing. But unless every member resisted the idea, Disney usually didn't pursue it. Yes, you read that correctly. The challenge wasn't big enough to merit his time and creative energy unless they were unanimously in disagreement! We have so many challenges in life. The question is how are we going to respond to them? Dear Lord, we pray for wisdom when the challenges of life come. Help us to use the challenges to make us better. In the Name of Jesus, Amen. Thank you for my hurting. People don't go to Him. But if you want me to carry it, I will.